Moving a car from Darwin to Melbourne has never been easier. Let DLM Removals & Storage handle this task by providing an affordable reliable car transportation service from Darwin to Melbourne. The way we make this cheaper is by providing the space available on a truck traveling back from Darwin to Melbourne. We will pick your car up from any location in and around Darwin and move it to Melbourne. 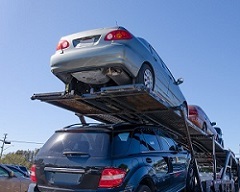 Car backloading from Darwin to Melbourne is an affordable way to move a car from Darwin to Melbourne. Having your car backloaded on a truck from Darwin to Melbourne will not only save your car the kilometre usage but also save wear and tear on the car as it needs to travel the long distance from Darwin to Melbourne. Car transport from Darwin to Melbourne has never been cheaper! A car removal service from Darwin to Melbourne is affordable and reliable using the expertise and experience of DLM Removals & Storage. Let us pick your car up from your desired pickup location anywhere in and around Darwin and deliver it to Melbourne. The process is straight forward and easy to manage. We have the most competitive rates for moving cars from Darwin to Melbourne on a weekly basis. We need to fill our trucks on the way back from Darwin so we will provide you with a service that is very cheap and reliable. Saving you time and dollars on any Darwin to Melbourne car move.